Some people consider that the whisky tasting is one of the most interesting way to enjoy this drink. In order to taste whisky as an amateur it is better to learn the basic steps slowly, in order to gradually begin to differentiate the inherent flavors of each whisky. Charles MacLean (principal writer on whisky in Scotland and whisky magazine editor) published a lesson to taste whisky, in order to learn the correct way to taste a whisky while understanding the signs that our own nose gives us to recognize the differences between them. According to McLean, the 5 Steps of a whisky tasting are: learning to recognize the signs of smell, sensory evaluation, language of tasting, whisky classification, rating whisky by both region and flavor. 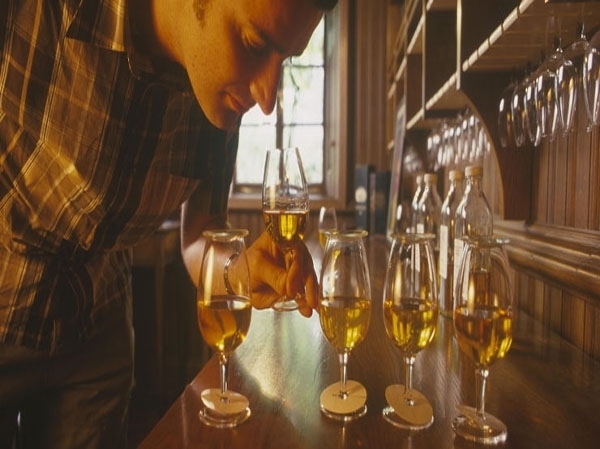 Recognize the signs of smell: If you want to taste a whisky the first thing to know is that the taste is of secondary importance when making a sensory evaluation of whisky. First comes the nose, the organ that allows us to capture most information about the drink we are trying. The best time to conduct the tasting is mid-morning, this is because the mouth is fresh. The glass to use is ideally a tulip shaped glass, preferably in crystal to make a correct analysis of the drink. To continue, the water is a factor to take into account. Add up 30% by volume of whisky. For this step you have to be very careful because too much water can ruin the drink, and to simplify your life a little, you can add only one teaspoon per cup pouring gradually until you feel that the burning sensation in the nose disappears. The temperature of the water should not be cold; an ideal temperature would be 15 degrees Celsius. When tasting it is ideal to choose a room without strong smells. If you are creating a group, attend preferably without perfumes or creams, in order not to alterate the aromas of whisky. Try not to smoke hours before the tasting, or it will affect the nonsmokers’ smell. If you like cocktails with whisky you will always have new options to try. The possible combinations are countless, and you can?t get tired of this versatile drink that has earned his fame and glory. However, today we won?t be talking about cocktails as famous as the Manhattan or Old Fashioned, but instead, we have been looking into cocktail books in order to find new and different drinks for you. Bunny’s Cocktail: Made 2 ounces of anise, 2 ounces of Gin and 2 ounces of Whisky. Stir and serve. Mint Condition: It is made with 0.5 ounces of Kahlua, 0.75 ounces of peppermint schnapps, 0.75 ounces of vodka and 0.75 ounces of Whisky. The ingredients are added in a shaker with ice, stirred and served. The Red Rover: Made with 0.5 ounces of Gin, 1 piece of lemon, 0.5 ounces of lemon juice, 1 piece of peach syrup and 1.5 ounces of whisky. To prepare it pour all ingredients (except lemon and peach) in a shaker with a handful of ice, shake and serve in a cocktail glass decorated with fruit pieces. 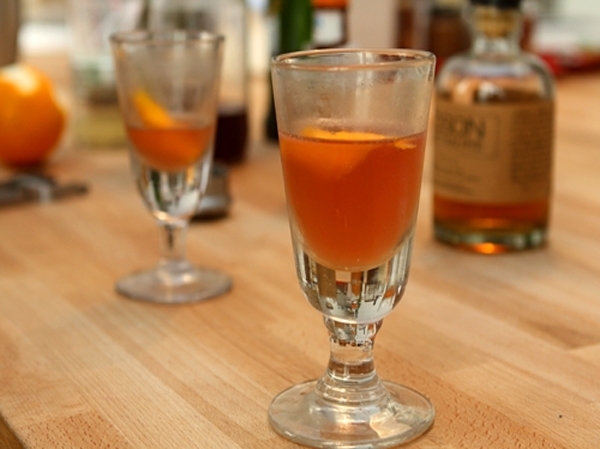 Scoff-Law: Made from 0.75 ounces of grenadine, .75 ounces of lime juice, 1.5 ounces of vermouth and 1.5 ounces of whisky. To prepare it you just have to shake and serve. Tipperary: It is made with 0.75 ounces of Green Chartreuse, 0.75 ounces of vermouth and 1 ounce of whisky, to serve stir in a shaker and pour into a cocktail glass. Tivoli: This cocktail is made with 0.5 ounces aquavit, 1 part of Campari, 0.5 ounces of vermouth, 1.5 ounces of whisky, just mix in a shaker with crushed ice and serve in a cocktail glass to enjoy. Kentucky Champagne Cocktail: Made with 3 ounces of Bitter, Champagne, 0.5 ounces of peach schnapps, 1 piece of peach and 1 ounce of whisky. To prepare it mixes whisky with peach liqueur, bitters and a little crushed ice in a shaker, then serve it in a cocktail glass to fill with Champagne and garnish with peach slice. The single malt whisky is named after its elaboration in a single distillery, by fermenting malted barley or rye. For the most representative of these drinks, produced in Scotland, the product is distilled at least twice in copper stills, has a minimum alcohol content of 40° and gets aged for at least three years in oak barrels, which capacity can not exceed 700 liters. This is probably the most appreciated Scotch whisky by connoisseurs, since the storage, aging and elaboration limitations of this drink originate very distinct and different characteristics depending on the type of barrel, wood or even different types of water used in the process, something that at first glance may seem minor but it is crucial in the final outcome. Sometimes are used barrels previously used for aging sherry, port, madeira, rum or cognac, which give the whisky additional and distinctive flavors. Springbank 10 Year Old 100 Proof – Campbeltown. A single malt with aromas of honey, cucumber, aftertastes of lemon zest, peat and autumn leaves. Royal Lochnagar 12 Year Old – Highlands. An exclusive whisky, preferred by Queen Victoria and Prince Albert, classic flavor and rich hues. The Balvenie DoubleWood 12 Year Old – Speyside. One of the most unique and complex, with notes of vanilla, caramel, peach, honey and prunes. Bunnahabhain 18 Year Old – Islay. Elegant and appreciated by both experts as beginners in the world of whisky. Highland Park 18 Year Old – Orkney Islands. This is one of the youngest members of the top 10, yet balanced, subtle and sophisticated. The Macallan Cask Strength – The Highlands. A true classic among classics, rich but accessible to any palate, with a characteristic bouquet of port wine, cinnamon and oat meal. Scapa 16 Year Old The Orcadian – Orkney Islands. A legendary single malt scotch, with amber color and aroma of berries, sea salt, chocolate and pepper. Glenkinchie 1991 Distillers Edition – The Lowlands. The Lowlands have also much to offer, as evidenced by this whisky with grass and floral aromas, and a palate rich in notes of leather, smoke, vanilla and honey. 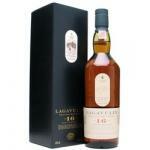 Lagavulin 12 Year Old Cask Strength – Islay. Endless aromas with multiple interpretations, a rich palate in a special edition for its most loyal followers. Glenmorangie 18 Years Old “Extremely Rare” – The Highlands. As its name suggests, it is probably the most unique and sought after, aged for 15 years in Bourbon barrels and 3 in Oloroso sherry barrels, with tastes of nuts, figs, dates and vanilla. If you like whisky sure you have heard of the Highlands. This region of Scotland can be proud for having the highest concentration of distilleries together with Speyside. Single malt or blended are the two main types of whisky to be found in this region, although there are other varieties such as blended malt or grain, which however, are not as widespread as the first. Why Highlands? Highland whisky does not really bring a special kind of features that contribute to homogenize the production. Moreover, whisky connoisseurs, those who are used to taste different brands, origins, vintages, etc. are probably well aware that the designation of origin may be something rather according to geographic criteria than to other characteristics in this particular case. What this means is that in order to become an expert in the Highland whisky it is best to know little by little the different distilleries. Each one hides its own elaboration method, its whisky composition, alcoholic content (which should be over 40% in all cases), its time of maturation and a type of wood for the barrels where the aging process of whisky takes place (usually oak, although from different origins). One of my favorite distilleries is Balblair Distillery. I love their whisky. Active since 1790 is one of the oldest of which files are preserved. Their single malt is noteworthy and you have the chance to buy it in seven vintages: 1965, 1975, 1978, 1989, 1990, 1997 and 2000. Each one of them has an individual and very exclusive character. Glenmorangie Distillery is also noteworthy. Although a trajectory somewhat younger than the last one, its history is closely linked to the Scottish one and its products represent its origin as anyone. In fact, very often they have won prizes in distillate international competitions. Today this family business it is not so. In fact since 2004, when it was acquired by the French group Moet Hennessy Louis Vuitton, its products continue maintaining the high quality that has made them famous, but its spirit has lost that Scottish essence in exchange for taking that step forward towards the luxury marketing in which this French company is an expert. Scotland’s National Day in honor of its patron, St. Andrew, is gone and the best way to celebrate it that I can think at this point (and please, do not ask me what time of the day I’m writing this post or you are going to draw some conclusions) is with good local whisky. Let’s get a list of perfect Scotch to celebrate, to make a present or to end the day enjoying the relaxation. The Glenrothes 1998: the complexity of this whisky contrasts with its velvety finish that makes it a delight for the palate. A treat to taste while watching the bottle, so characteristic, with that shape which reminds gemstones. Famous Grouse Gold Reserve 12 Years: a favorite in the area and one of the selected by big whisky connoisseurs. 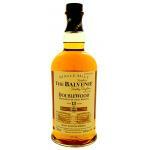 Balvenie 21 Years Portwood: simply delicious. There might be those who believe it is a crime what I am about to say, but if we add a splash of water, it tastes even better. 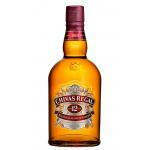 Chivas Regal 12 Years: carefully elaborated blended Scotch whisky. I could not miss it in our list of whiskeys from this part of the world. 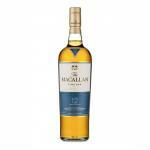 Macallan 12 Years Fine Oak: the pleasure of tasting one of the best representatives of whiskys from the Speyside region. It comes from a distillery that has not stopped producing single malts since 1824. 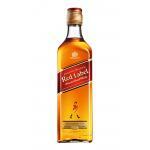 Johnnie Walker Red Label: do not forget that apart from the typical Red Label, there are many other options perfect for the most demanding consumers: Black Label, Green Label, Gold Label, Blue Label Reserve or Swing. And for the demanding ones who also have money enough: Johnnie Walker Blue Label 200 years. Highland Park 12 Years: It is true that we have two other options: 18 and 40 years, but I think that in this whisky twelve years are enough to offer its most delicate, smooth and balanced side. Bruichladdich Sherry Classic: I love its looks which are far from the typical presentation we can see in other whiskys. While tasting, I liked of it that touch of sherry?s dry fine wine and its Andalusian character, on nose and palate. Glenmorangie The Nectar d’Or: a truly unique version of the classic whisky from the house. For me the best is its finish in which you can discovere fruity notes of mocha and cinnamon. The Sauternes wood can be the culprit of this great Scottish success. 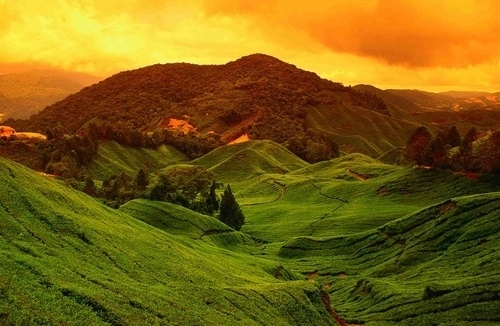 Low clouds, green landscapes and a lot of whiskey. Strathspey region of Scotland has the highest concentration of whisky distilleries around the country. That is the reason why this region is a model for single malt and it is also the area of origin of 2 heavyweights of the distillates of this cereal, Glenfiddich and The Glenlivet. The best of the Highlands for the best whisky that even has its own name: Speyside Whisky, as the region where they come from is crossed by the river Spey, a whitewater river that provides them with tasty salmon and worldwide famous whiskies. Cardhu, Balvenie, The Macallan, Glen Moray and Knockando are other special whiskies from this region which, due to its particular orography, stands out from the other seven where whiskey is produced in Scotland. However, it is said there that most of these brands do not get water for their whiskey neither from the Spey nor from its also famous affluents (Dullan, Fiddich and Lossie), but that it is taken from small creeks. It may actually be the secret. What unites all these whiskies is the high quality of their mixtures, which give them the category of High Class, an honor that seems taken over by the distilleries located on the banks of this river that brings fortune. 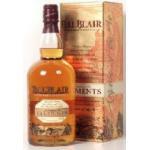 In general it is rather sweet whisky, in contrast to the harshness of the climate around. They are also quite aromatic, sometimes playing with expert palates while highlighting some light smoky notes that give a very delicious end result. It is believed that the trick is the combination of woods that gives way to the proper maturity. First Bourbon barrels shape the evolution of taste, giving the intense aroma and the characteristic looks, that amber gold or golden straw tone present in all their different varieties. Years later, this process culminates with a variable period in woods that have contained sherry, although some brands are now experimenting with a more powerful finish that gives them their final maturation in red wine casks, such as Benromach Capellanes Picón Wood Finish, which is influenced by its predecessor in wood, Pago de los Capellanes El Picón, one of the best of Pago de los Capellanes cellar. But true fans of Speyside Whiskey look for Cask Strength ones, also called barrel proof, which are those that go directly from barrel to bottle, with a consequent increase in alcohol content when compared with others that have been watered. Despite being, in most cases, complex nose, in mouth they are affordable, durable and balanced, with vanilla notes and a sweet ending. One of the whiskies who made Scotland the capital of the whisky world. The Blended Scotch Whisky is the result of combined experience and adventure, savoir faire and risk, but as things done conscientiously always go well today, just over one hundred and fifty years after its origin, this whisky is the standard of Scottish expansion. This distillate has many more friends than its predecessor, the single malt one, which has been called a snob or too smoky too often, but which also has legions of exquisite followers. It is true that in the end everyone has to pass the same test, when you are alone, you take your favorite chair, sit down and start savoring the feeling that it gets to transmit to you, to admire its color and to let yourself be intoxicated by its familiar aroma. This same subjectivity is the driver to designers for creating the wide variety of mixtures that can be found on the market today. Blended Scotch Whisky is almost alchemy, and it is pure magic of an art, it is for sure a culture. Generally, percentages are usually close to 40% malt and 60% grain (wheat or corn), but everything can change. For example the De Luxe Blended presents opposite proportions. 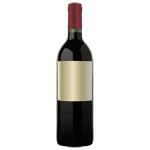 But all is not in the amounts, but the aging of each part plays a decisive role in the palate. The same applies to qualities, as expected. The Blended Scotch Whisky is a unique product, has character and is independent. Those who drink it already know it and those who have not tried it yet should be seduced by its personality and its rebelliousness. 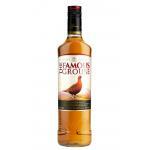 The Famous Grouse is the perfect choice in Blended Scotch and will pass the test. Its complex taste takes you back to the Highlands and perhaps this realism into the mix, which Matthew Gloag & Son kept top secret, is the key to success that has led the distillate to travel more than a hundred countries. 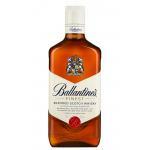 We cannot talk about Blended Scotch Whisky without mentioning Ballantine’s. Its golden color makes us rock us in the notes of honey that we capture while tasting it. Its openness and its quiet elegance are, together with its reasonable price, some of the key factors that drive us to recommend it both to drink it alone or in good company and in almost any occasion. A real best-seller, you can find The Famous Gouse all over the world. Whisky is one of the leading spirits of the whole story. It continues acquiring great relevance worldwide and is intended for gourmets who appreciate its colour and flavour. In a whiskey tasting, similar to a wine tasting, we must watch the look, the golden colour, which is darker as it’s aged, or depending on the destillery. Must always be placed in a glass not too high on a white background to better appreciate the brilliance. Another aspect is the aroma. It is often the type of mixing whiskey with a few drops of water to better appreciate the smell. It is always best to compare 5 or 6 differents, this way we’ll see different aromas and we’ll learn a little bit more. Among its aromas, high quality remind us fruit and timber, very gently, but there are stronger ones that are combined with herbs that are added to the malt to boost both aroma and flavour. Among the flavours, there’s enormous complexity depending on the strong degree of alcohol. And, unlike wine, take a sip (never throw it!) to rest in the mouth for several seconds. We can swallow and come back with another drink to appreciate more nuanced and leave it on the tongue. Wonderful! Fresh, intense, soft, sweet, strong … the taste is different where whisky emphasize the soft vanilla, smoked fish, fruit like apples or oranges, nuts such as walnuts, caramel, wood and toasted oak from the malt. As we see, a great assortment always high personality. A great whisky from Japan, it’s noticeable its aromas from oak and vanilla. One of our favourites whiskies. Lagavulin has such differents aroma and taste, so you have to try it. Scottish whisky has a long tradition, but that’s not a scoop, this tradition is not only due to the ancient history of its whisky, or due to its recognized quality; behind the legendary Scotch there are legendary distilleries throughout Scotland, recognized by the place of birth and the whisky. 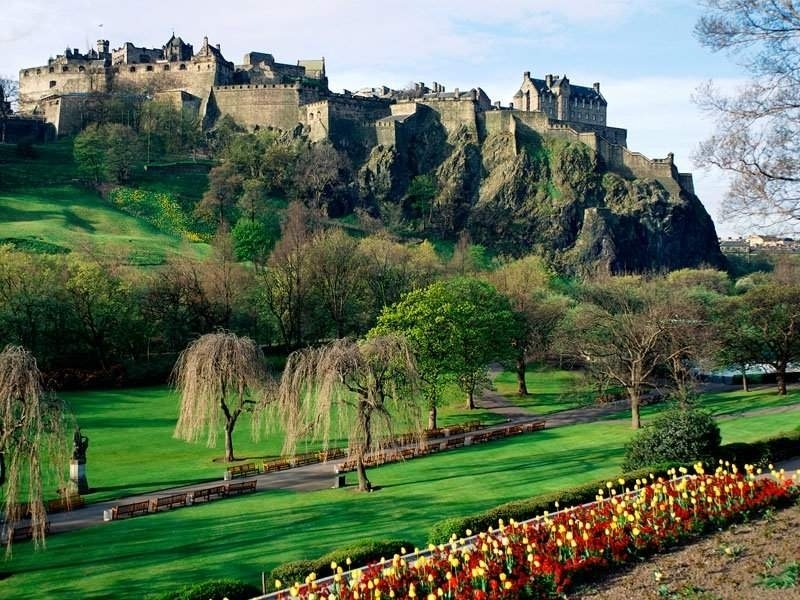 That’s why we have prepared a tour through the emblematic areas of Scottish whisky. The lowlands are considered the southern half of Scotland, currently in this area there are important whisky distilleries like: Glenkinchie (1825) close to Edinburgh, Auchentoshan (1823) near Clydebank, Bladnoch (1823) in Galloway, and a new distillery called Daftmill, located in Fife (the last one still has not launch its whisky to the market, but they had began to distill so, it is expected to have it within 3 years). We should also mention names like Rosebank, Kinclaith, St Magdalene, Ladyburn, Littlemill and Inverleven. We can still find Whiskies from this area, but they stopped producing them some years ago. The majority of the lowlands whiskeys are usually triple distilled malted, yet we can find other varieties. Another detail worth mentioning is its light taste, which is due to triple distillation mentioned. The Speyside area is situated around the Spey River in Moray and Badenoch, Strathspey, in northeastern Scotland. This is the area with the highest number of scotch distilleries and perhaps the most important in Scotland. Here are located legendary distilleries, Glenlivet (1824) and Glenfiddich (1886), both the best sellingscotch whiskeys in the world. But not only these two distilleries are famous, tradition and prestige, we can’t go by without mentioning legendary distilleries in Speyside, as emblematic as: Aberlour Distillery (1826), Balmenach (1824), Balvenie (1939), Benriach (joined to Glendronach, 1826), Benromach (1898), Cardhu (1824), Cragganmore (1869), Dailuaine (1852), Glendullan (1897), Glenfarclas (1836), Glen Grant (1898), The Glenrothes (1978), Glen Elgin (1958), Glen Moray (1897), Inchgower (1871), Knockando (1898), Longmorn (1893), The Macallan (1824), McClelland (1986), Royal Brackla (1812), Glenlivet Speyburn (1897), Tamdhu (1897) and Tormore (1958). And what could we recommend you? It would be so complicated to keep only one scotch, so we will show you 2 who are really worth. 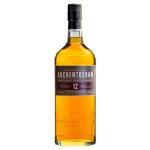 If Bladnoch is the ultimate, and Glenkinchie the tradition, Auchentoshan is success. The most famous and best sold scotch in the lowlands of Scotland. Aromas of vanilla awakened the interest in the high-end Whiskiesall over the world. A whiskey that is perfect to drink either alone or mixed. Scotch must be produced and processed into a Scottish distillery, with water and malted barley. To this preparing, can also be added other types of cereals, as long as they have been processed in the distillery. Scotch whisky must be aged in oak casks in Scotland for at least 3 years. Scotch whisky is not to be added any substance other than water or candy (dyed). Scotch whisky can’t be bottled – not less than 40 º of alcohol by volume. It is said that Christian monks brought the distillation to Scotland between the IV and V century. The first documented record of the production of Scotch whisky dates back to 1494, at the farm Rolls, with a production of 1500 bottles. In 1506, the Scottish king James IV (1488-1513), visited the city of Dundee, where the king was surprised to know that the barbers of this city were evolved in the production of whisky, from back there and on, the Surgeon Barbers Guild of Edinburgh, were responsible for preparing this drink for medicinal purposes. In 1644 imposing a tax on whiskey making in Scotland, and in 1780, there were 8 legal distilleries and 400 illegal, but this was not eternal, since 1823, parliament removed the restrictions on licensing of distilleries, which nearly ended the illegal distilleries. In 1831 Scotch underwent a revolution with the introduction of a new process called Coffey stills, a process that allowed development of a better and smoother whisky, a fact which in turn made more famous scotch and began spreading to other countries in Europe. As history tells, Scotch has survived the ban, wars and revolutions, economic depressions and recessions. Today Scotch is the most representative whiskey in the world with presence in over 200 countries. Isle of Jura Superstition: In the classic line, Isle of Jura Superstition keeps the original flavor of whiskey and expertise combined with the touch of the barrels in which it is aged. An aged whiskey but soft and alive. Lagavulin 16 Years: Either you love it or you hate it. There is no middle with this so different scotch. 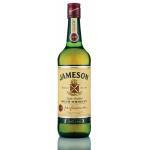 Instead of the gentle aroma of vanilla, this whiskey from the very beginning offers strong aromas of oils and salt. It’s different from everything else, and certainly if you insist you will eventually drive you crazy. Macallan 12 Years: One of the more successful whiskeys today. Toast and vanilla flavors are a very nice smooth whiskey. In line of the Isle of Jura and a bit cheaper. What whiskey have you tried? What is your favorite? 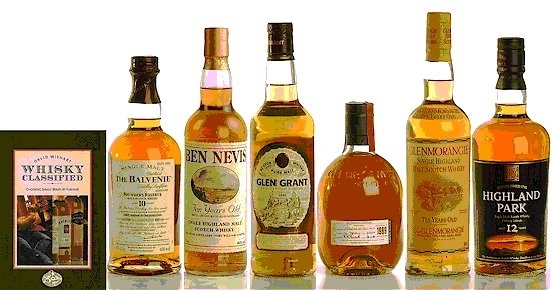 Are you a fan of any particular scotch?